Variety and versatility: Wallpaper has far more versatility than paint in that almost any design can be made into wallpaper. Designers have also discovered that the versatility of wallpaper goes beyond the mere covering of a wall. 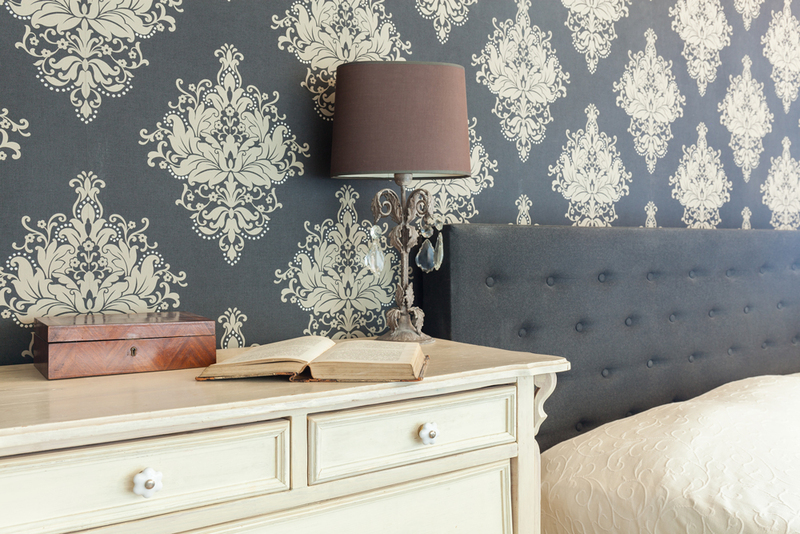 Wallpaper can replace trim or wainscoting or to mark off where one room ends and another begins. The options are virtually unlimited. Wallpaper adds texture: Whether you are looking to paper a feature wall, or if you are using a pattern to decorate the entire room, wallpaper can help bring warmth, depth, and a sense of aesthetic unity to any given space. While some still associate wallpaper with outdated styles from the 70s and 80s, there now exist a wide variety of individualized patterns and colors that work to create a dynamic space. Wallpaper is budget friendly: While in the short term, paint may seem as the more cost-effective option, wallpaper can actually be more effective in the long run. A durable, long-lasting, and cleanable option, wallpaper - when properly installed and by a well-seasoned team of professionals - is a durable option that will last you up to ten or fifteen years longer than paint without needing to be changed or replaced. The key to producing a beautifully wallpapered surface is in the preparation. A poorly prepared area will undercut the longevity of the wallpaper as well as making it extremely difficult to remove without damaging the underlying surface. To ensure that our clients get the results they deserve, we take perpetration very seriously. Since starting our family-run business in 1906, Peacock Decorators Inc. has been the premier choice for homeowners and entrepreneurs across the Gold Coast area in search of high-quality work that surpasses customer expectations. For over a century, we have offered extensive decorating work designed to make your home feel, and look, like a work of art. At Peacock Decorators, we strongly believe that quality is a requisite for each and every job – making sure that each project, whether big or small, is treated with unparalleled care and respect. Get in touch with us by phone or email to find out how we can transform your home today!